Most family history researchers are familiar with ‘Chronicling America’ newspaper collection covering from 1789 to 1963. Using one’s mobile phone (smartphone) has developed into an important instrument in research. 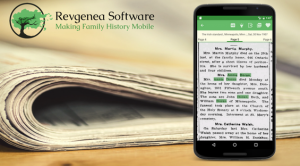 There is an app titled ‘OldNews USA‘ which can help you locate the newspaper articles and stories from Chronicling America using your smartphone. Chronicling America has 11,781,887 newspaper page images. 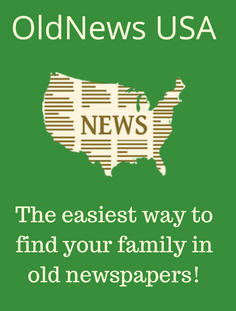 This app ‘OldNews USA‘ is free to try, including all its research features. Once you have a successful search and article saved, there is a one-time in-app purchase of $3.99 required to continue using the app. If you prefer using a device with a larger screen, OldNews USA can work on devices with large screens, such as Chromebook including devices that do not have a touchscreen. Also, Android 7 to 10 screen devices can use OldNews USA. After getting the app, to find articles about a person, all you need to enter is a name, a date range, and a location. Once the name, date or location is found on a newspaper page, you can view each highlighted search term by tapping the screen. The app will automatically zoom in to the next matching term each time you tap the screen. When you review the last search term, the app tells you that you reviewed all matches. To document the source, it will create a source citation for every page that you save. You can have the articles saved to Dropbox, Google Cloud, or Evernote. What is great is that you can work on a search for a few minutes, you need to stop and the research dashboard preserves the context of your research, making it easy to pick up where you last left off. Reminder, the app now is solely for Chromebook, Androids and it will not work on Windows, Macintosh, iOS, Linux, or other operating systems. That may come in the future. OLDNEWS USA was designed to make your searching easier on Chromebook and your phone.